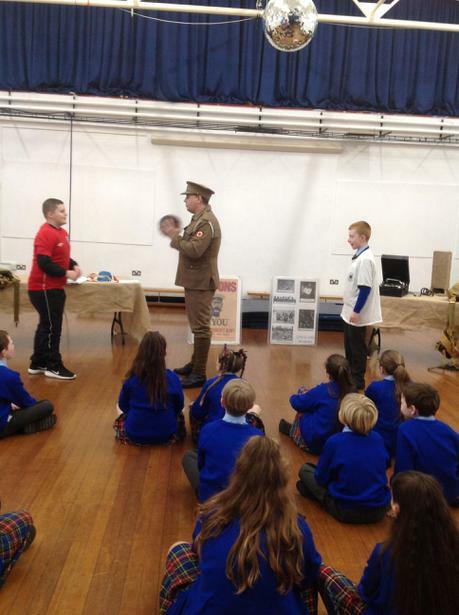 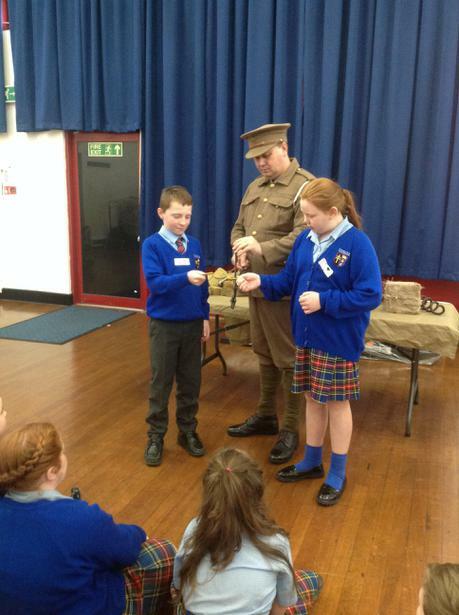 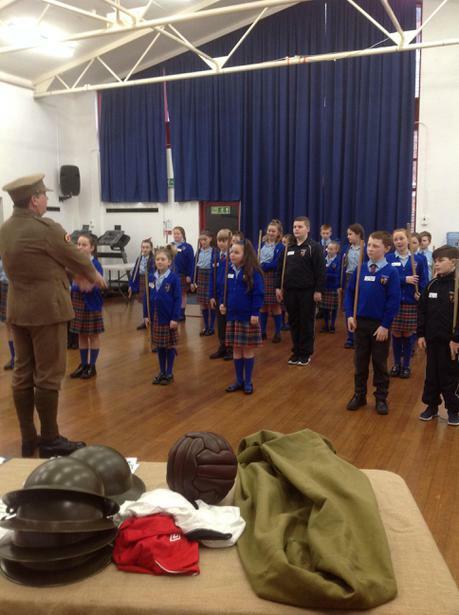 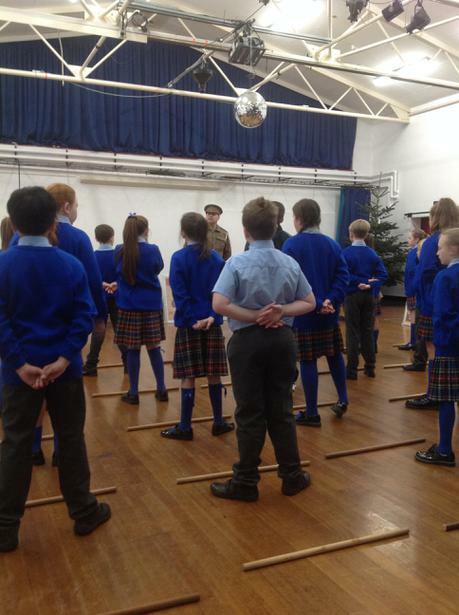 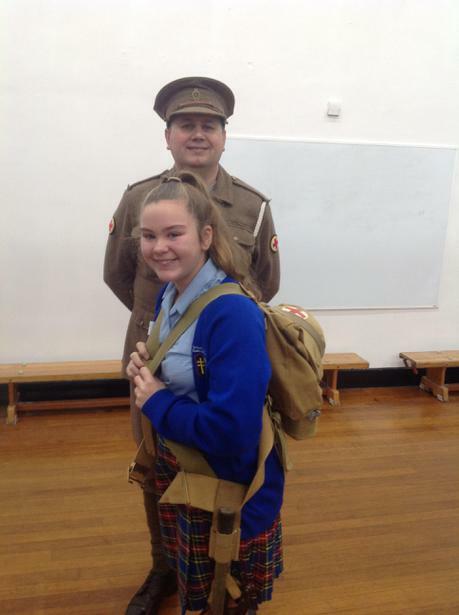 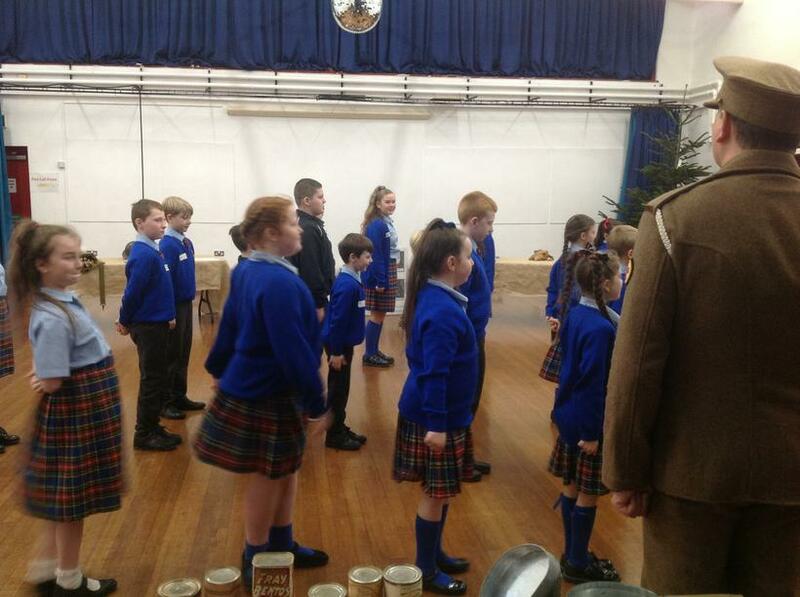 This week, Class 13 and Class 14 were transported back to the 1900’s to experience trench warfare through the eyes of a stretcher-bearer in WW1. 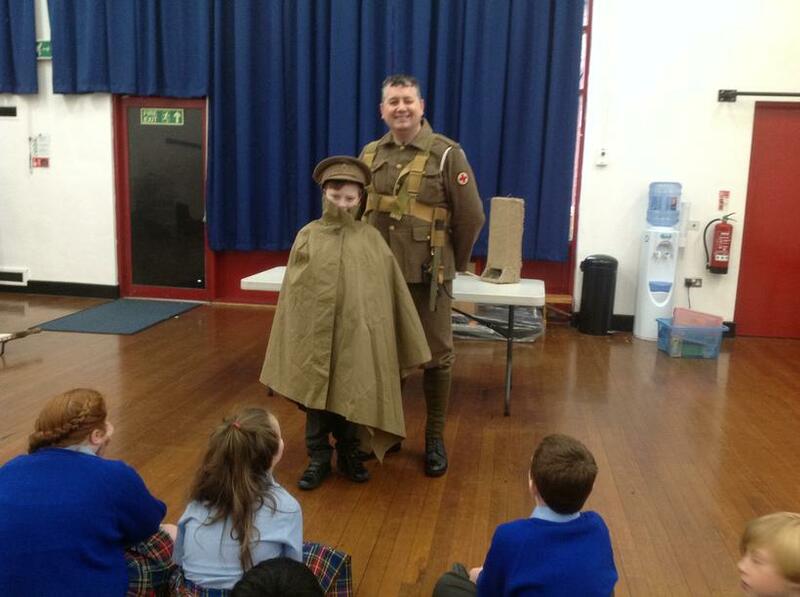 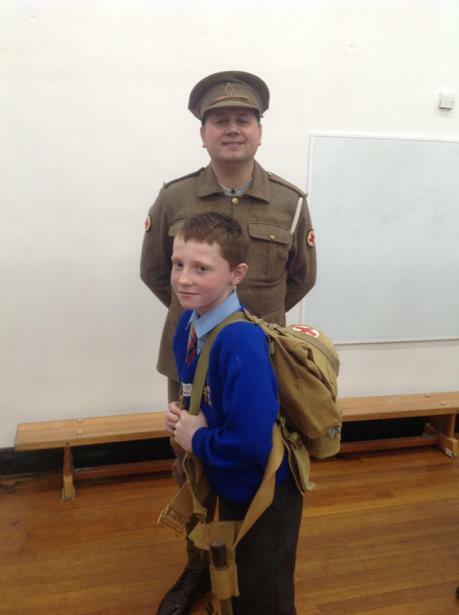 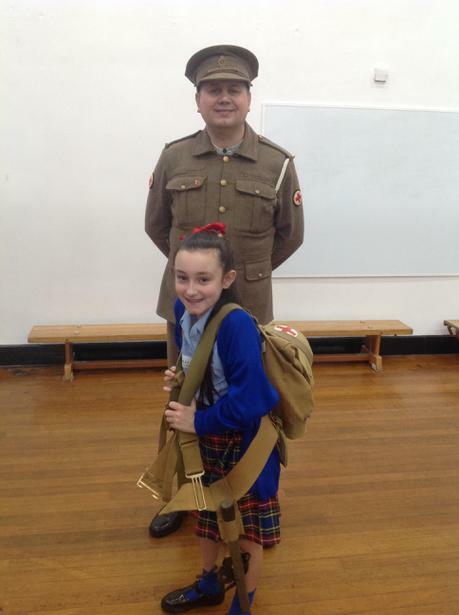 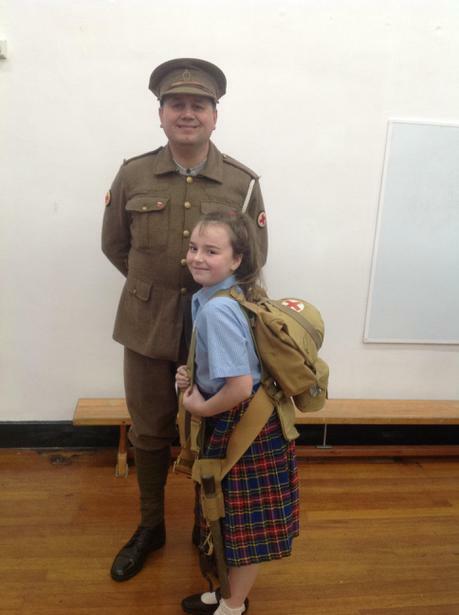 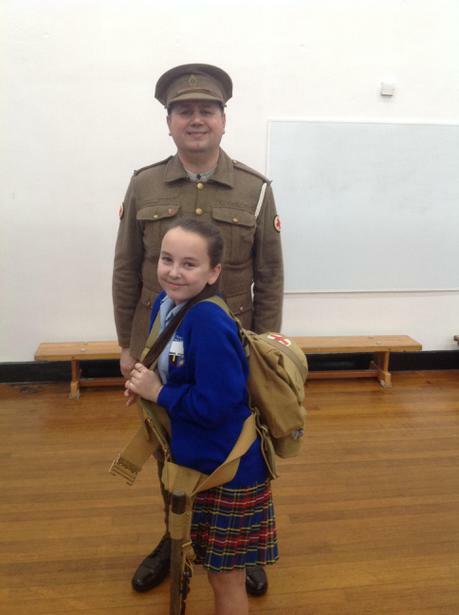 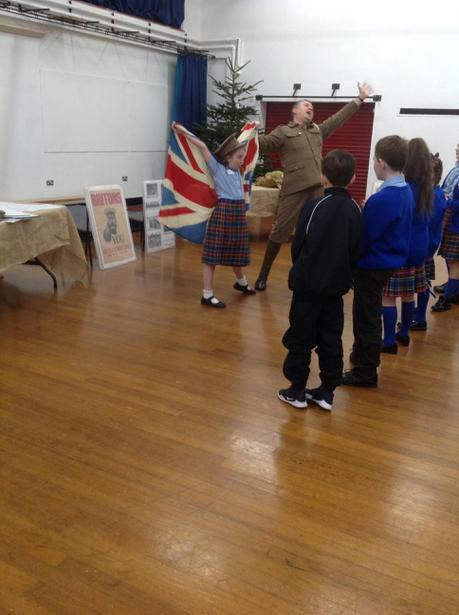 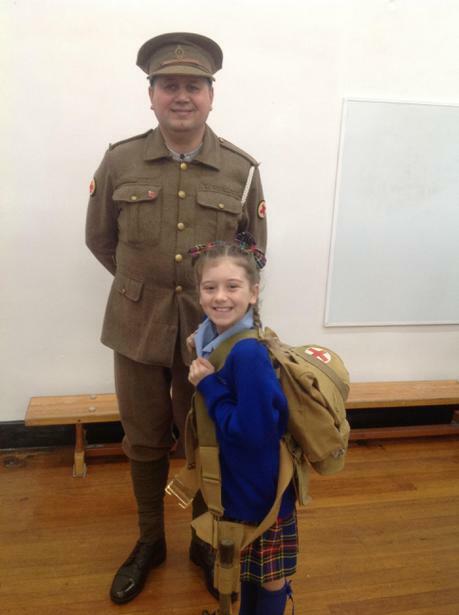 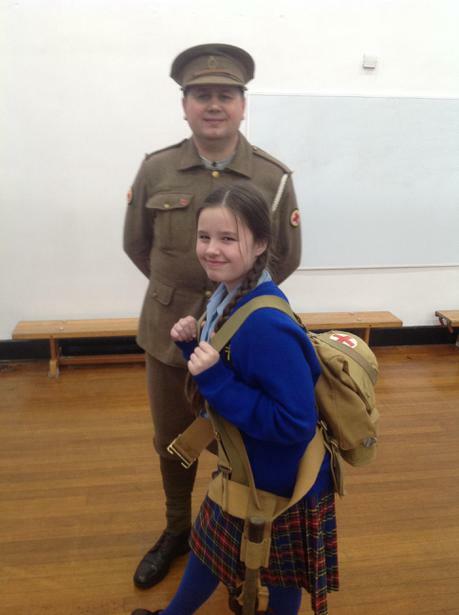 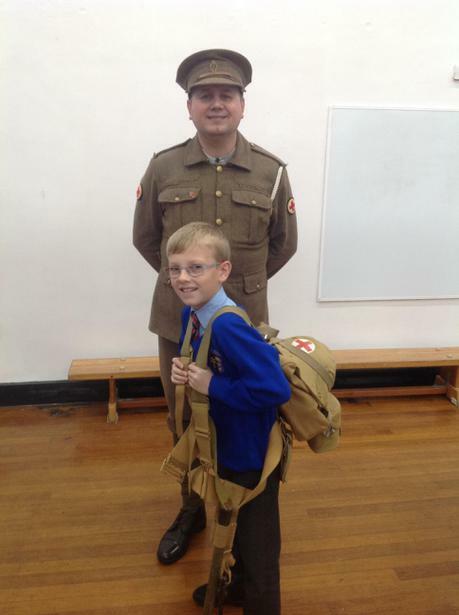 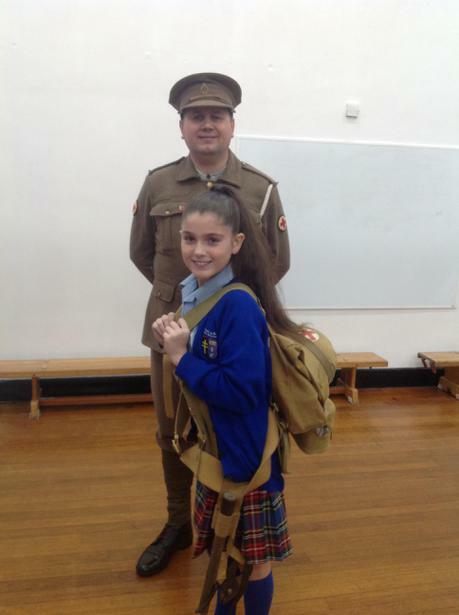 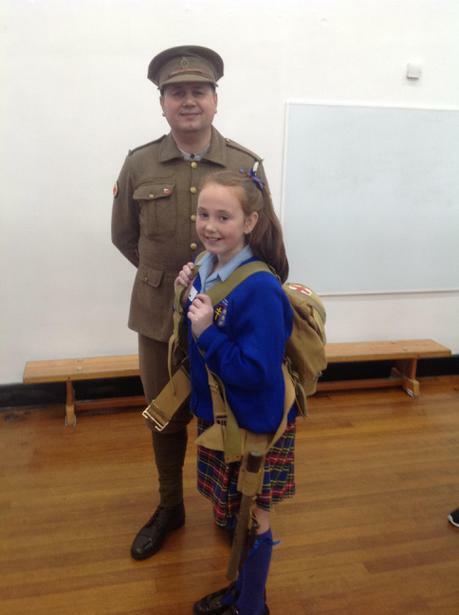 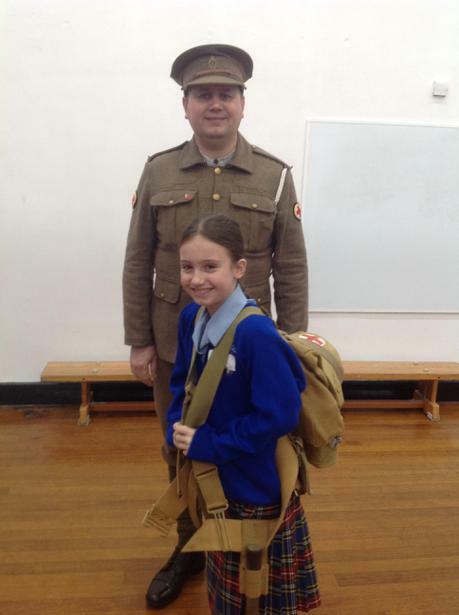 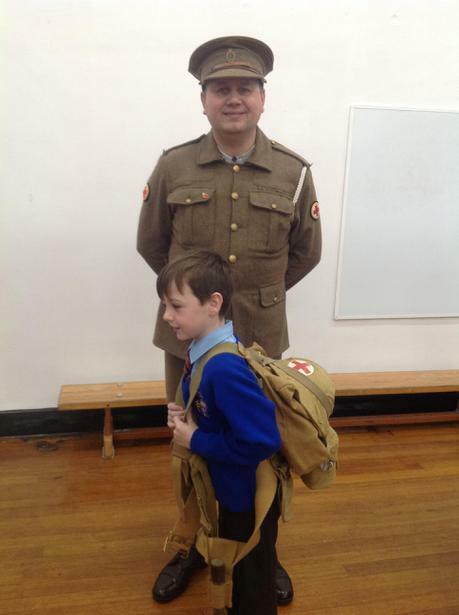 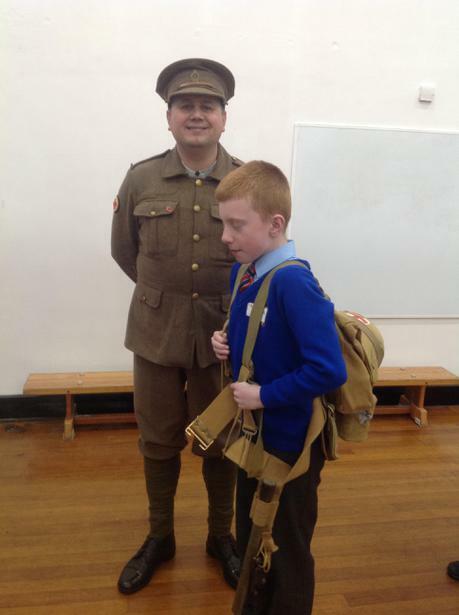 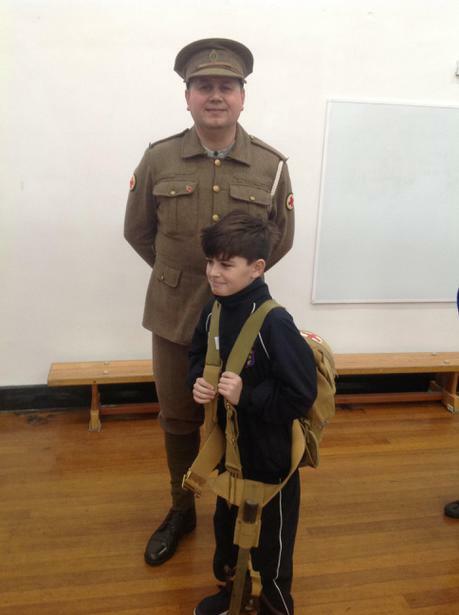 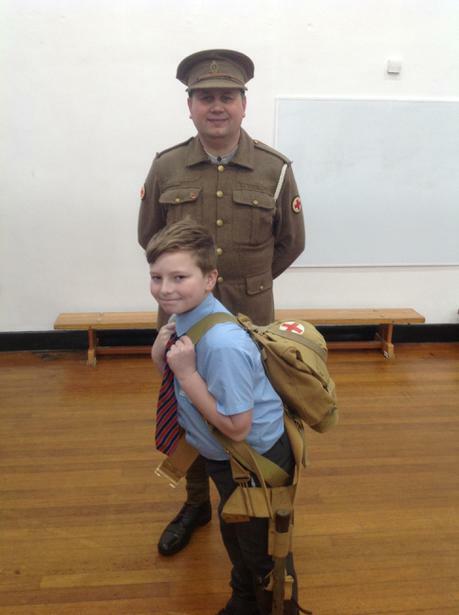 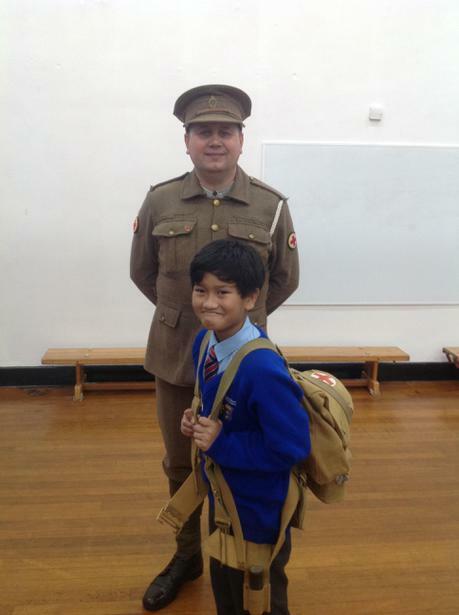 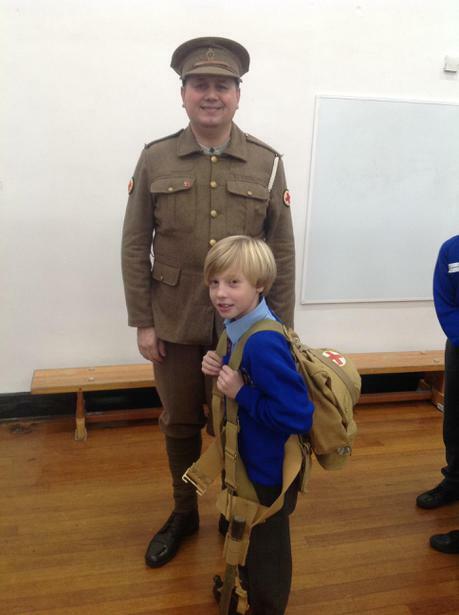 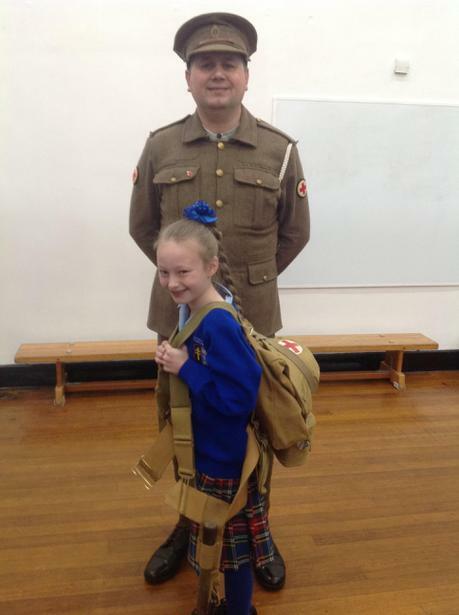 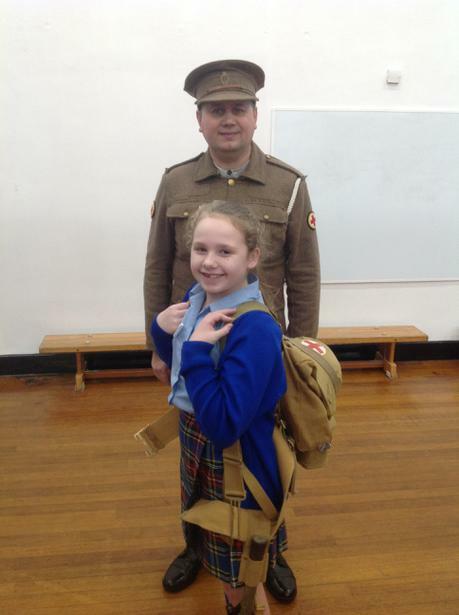 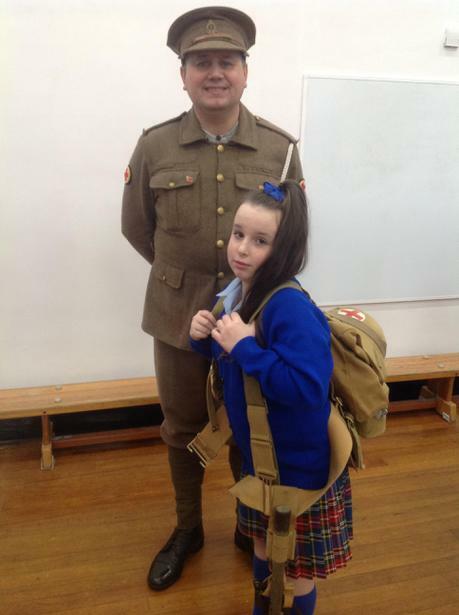 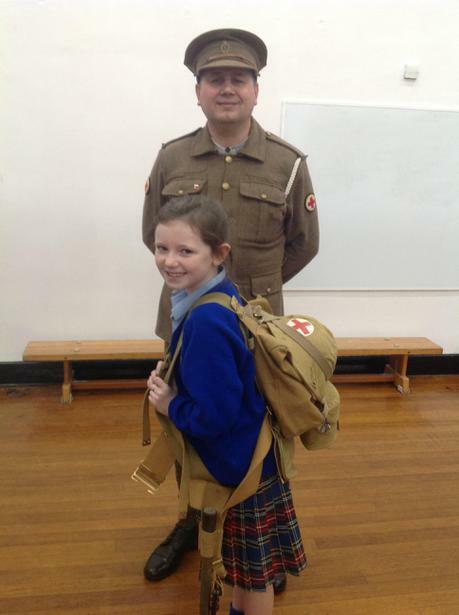 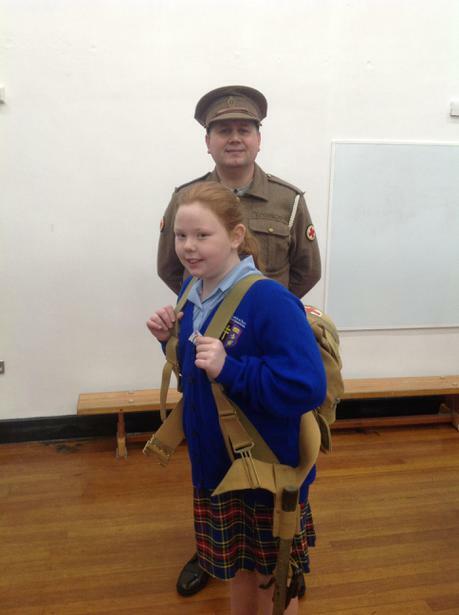 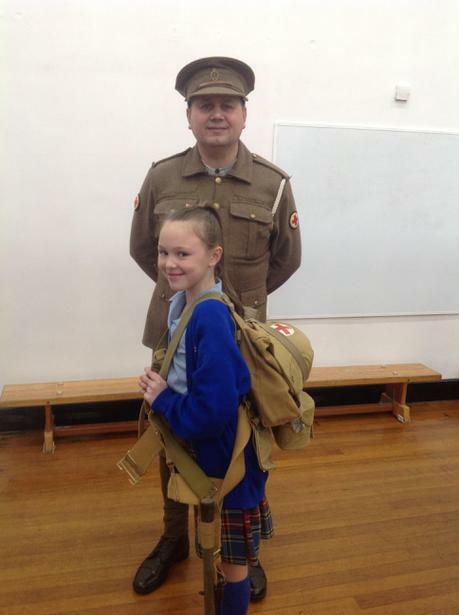 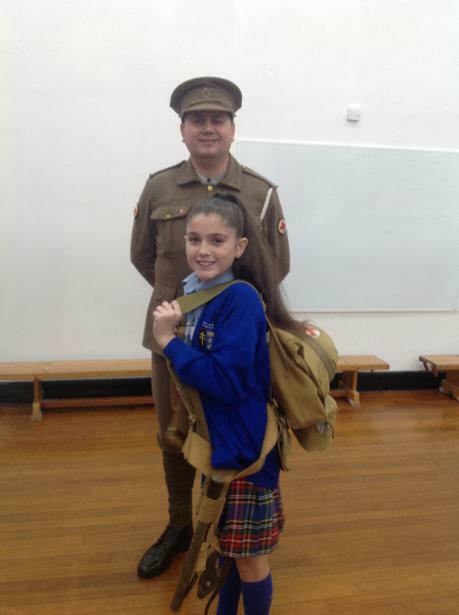 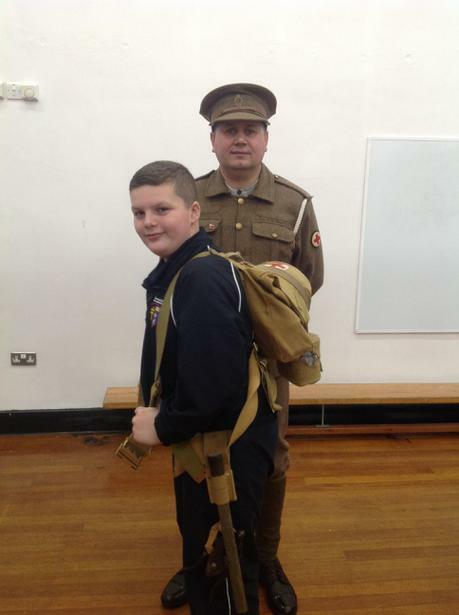 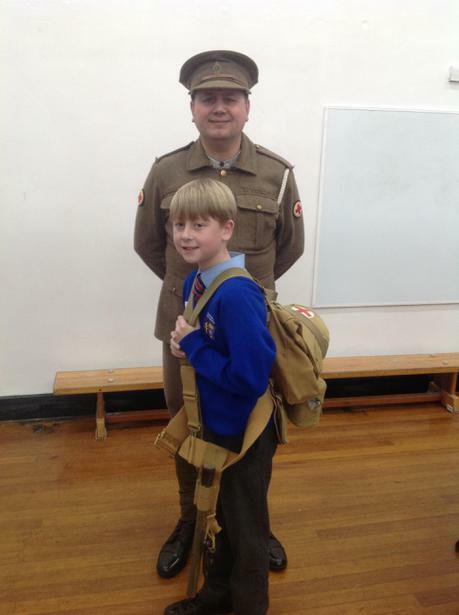 Mr. B, who was dressed in full WW1 uniform, told us many interesting, anecdotal facts about his grandfather, who served during WW1 as a stretcher-bearer. 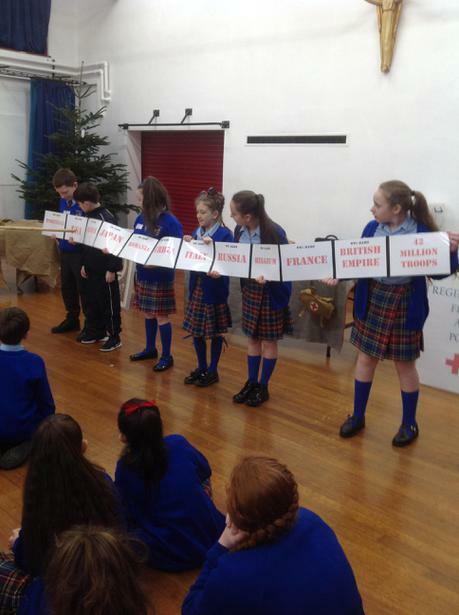 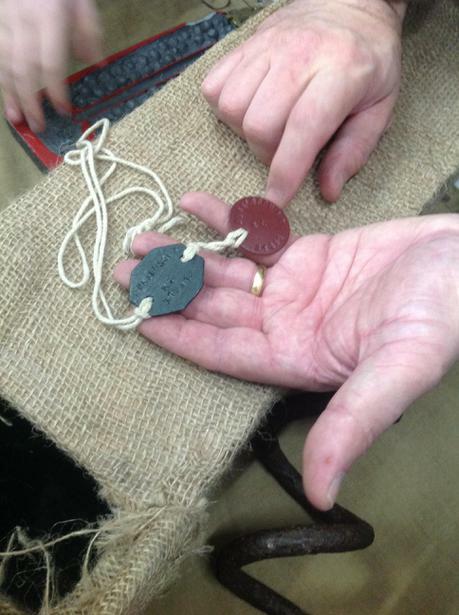 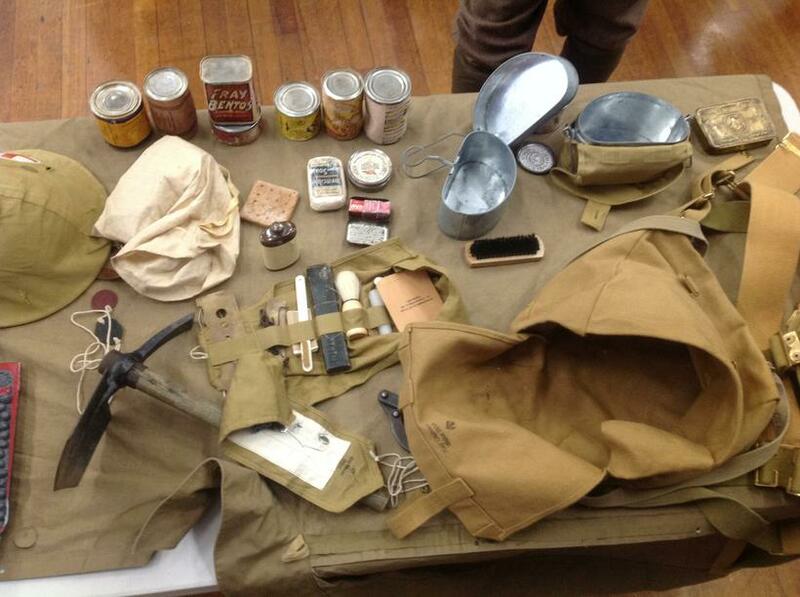 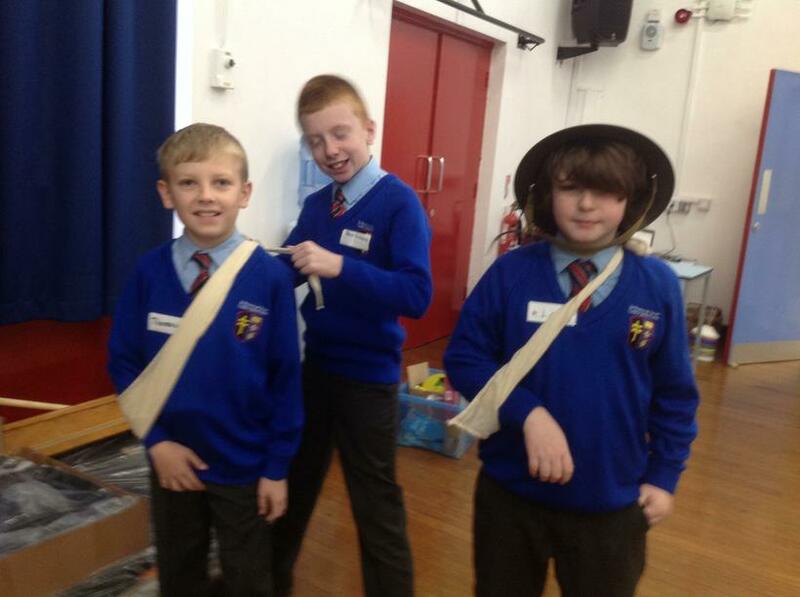 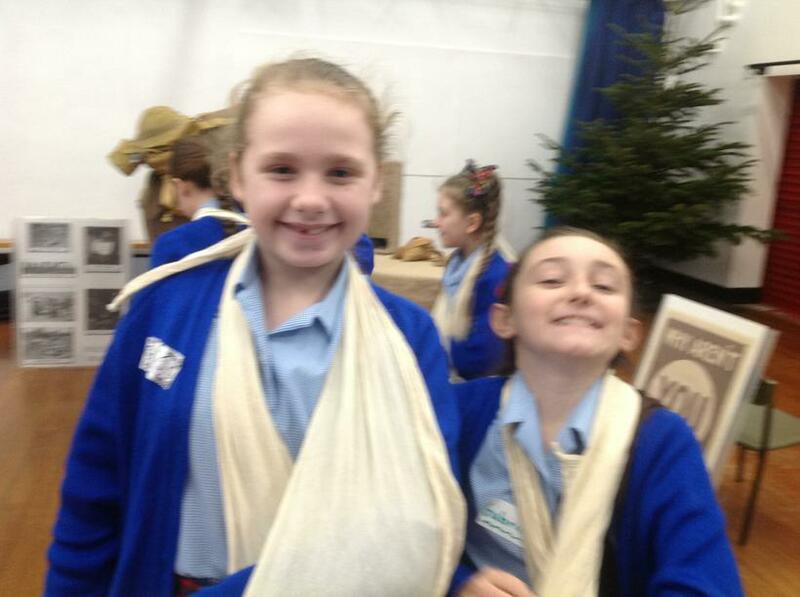 As well as learning about the endless list of supplies that soldiers had to carry (including: barbed wire cutters, tooth powder, sewing kit and canned food), we also tried our hand at some essential first-aid bandaging and repair, which would have taken place in the front line trenches. 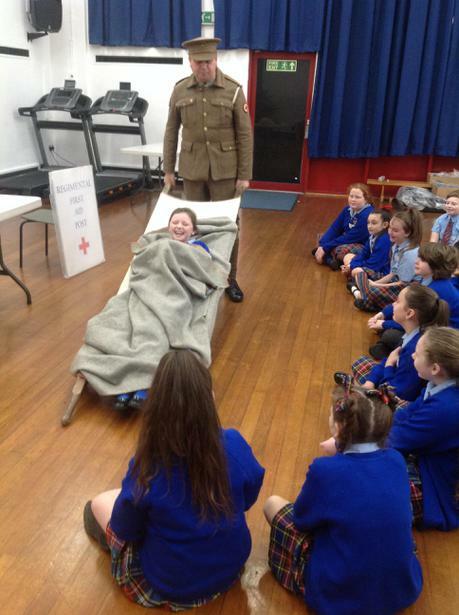 Some children were even selected to mimic an injured soldier, and experienced being carried through the narrow, winding trenches. 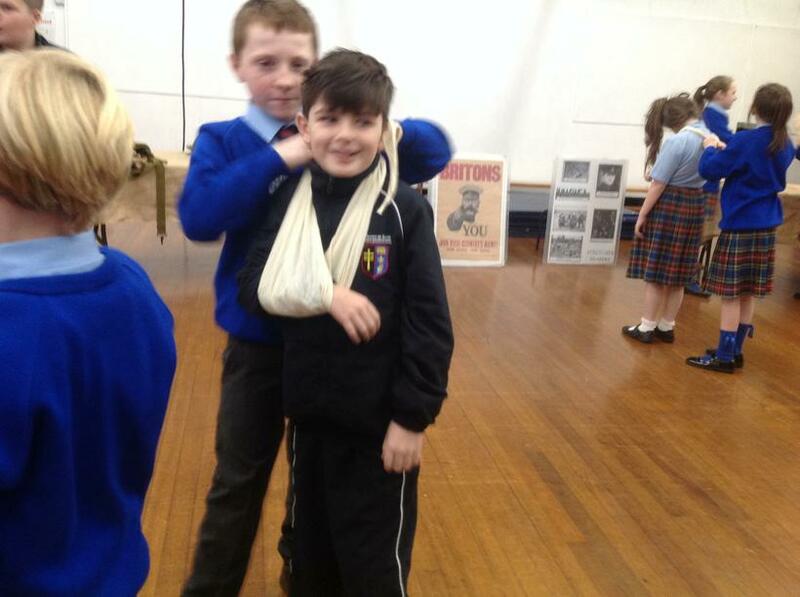 Overall, we had a fantastic day – we learnt lots of interesting facts and got to see some primary sources of evidence up close! 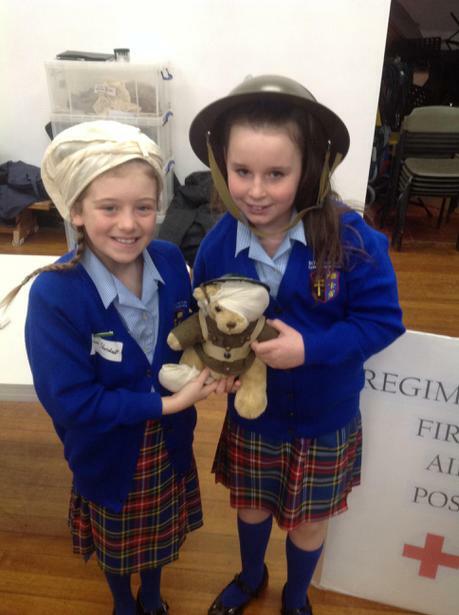 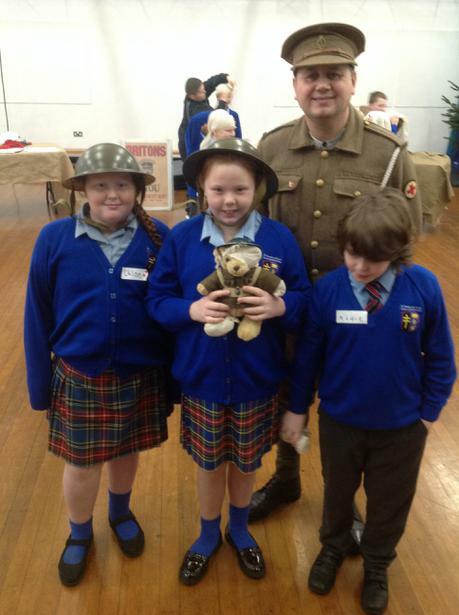 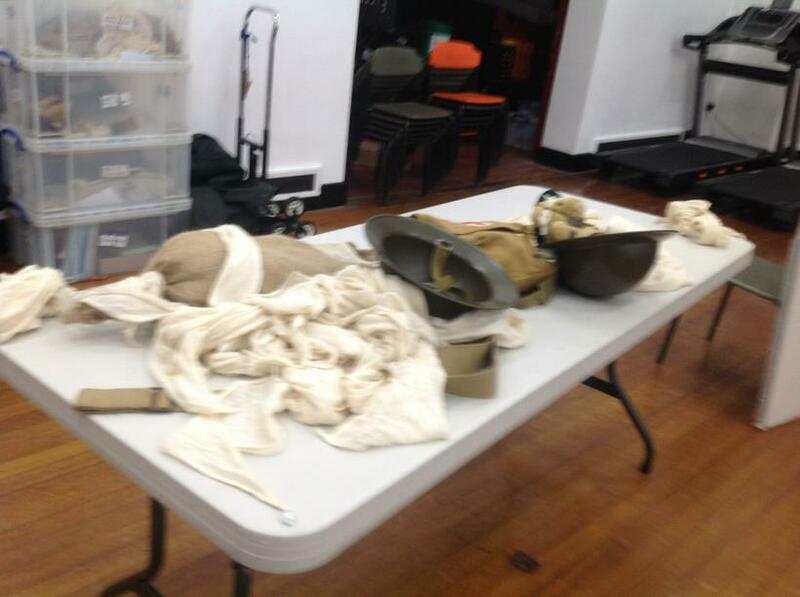 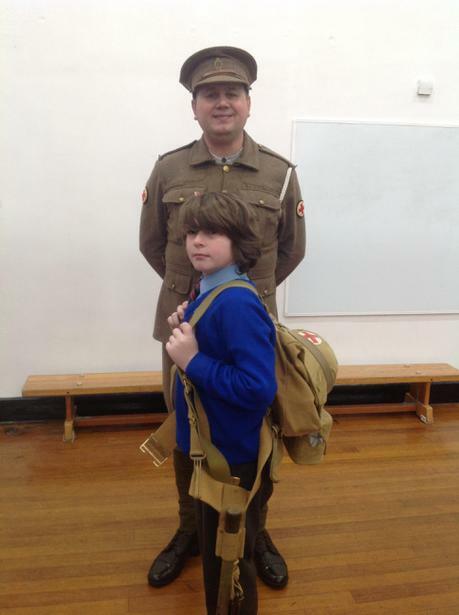 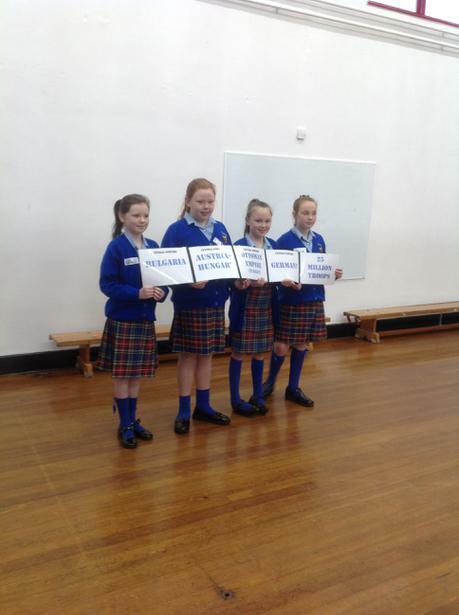 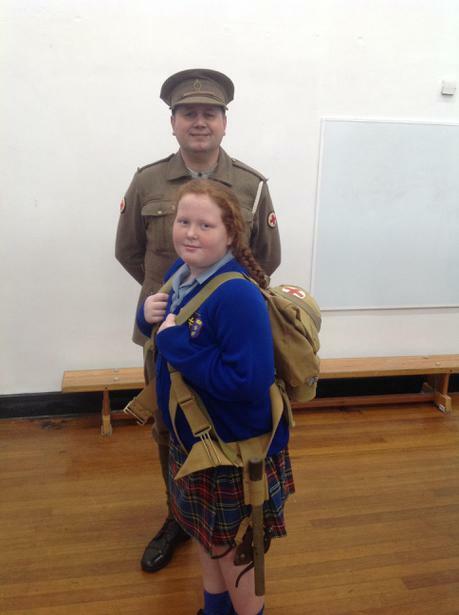 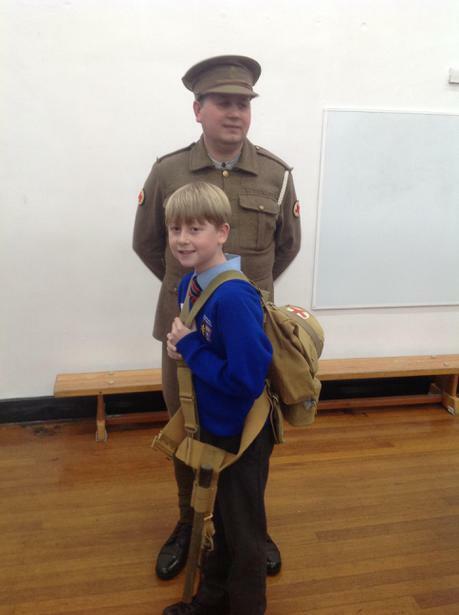 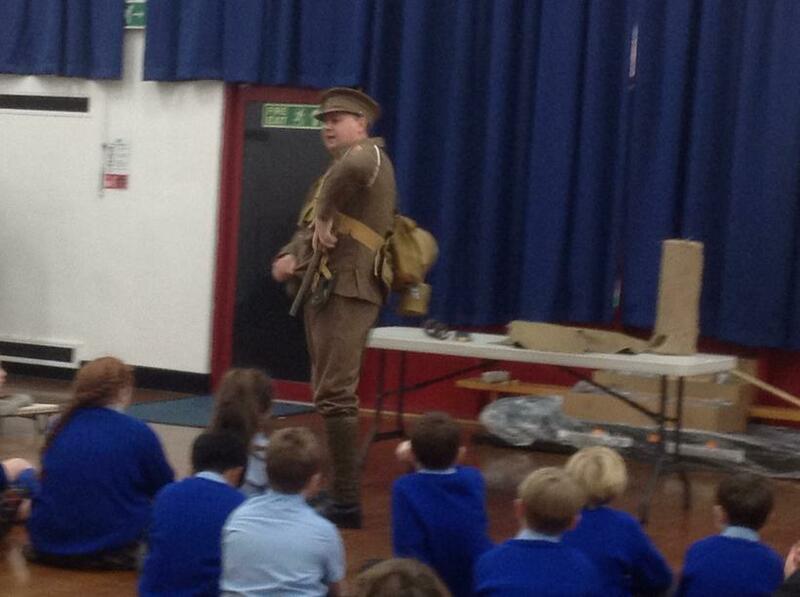 We’re now wondering how we can cram all of this information into our World War One reports!